Jail inmates are one of a few groups of citizens that have a constitutional right to health care coverage. As a result, a full-fledged medical center is housed within the Cook County Jail that treats every one of the 6,000-7,000 detainees that are there on a daily basis. That medical center operated for the last eight years under supervision of the federal government because of inadequate care. But that supervision ends Tuesday, and Cook County health officials say they are now a model for the rest of the country. Health officials almost never let reporters into their facility within the Cook County Jail for fear of breaching doctor-patient confidentiality. Their patients are the thousands of people who have been arrested and incarcerated at the jail awaiting trial. Many of them come to jail without having adequate health care. “They’re vulnerable for substance use disorder and withdrawal, mental illness and many chronic illnesses that may not have been addressed in the community,” said Dr. Connie Mennella, chair of correctional health for the Cook County Health and Hospitals System (which is the county agency that runs health care in the jail). Mennella says many of the detainees don't know they can get health coverage. “80 percent of people who come into the jail are eligible for Medicaid coverage, and many are not aware that they may be covered or they are in fact already covered and they just need a little bit more assistance to get them through that process,” she said. 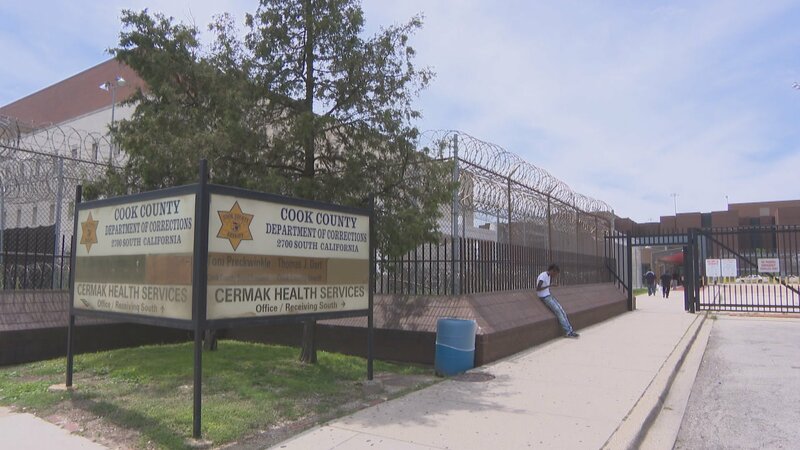 Cermak resembles any other medical clinic with doctors, nurses, exam rooms in every jail division, and a fully functional pharmacy. In 2010, the jail entered into a consent decree with the federal government after reports of inadequate treatment and staffing levels. That consent decree ends Tuesday, and Cook County health officials say they are now a model for other jails. “We now are actually being visited by many jails and large jails throughout the country looking at our model of care because we really have worked on even going beyond the basics of what the federal government said we needed to do,” said Mennella. A startling number of inmates are coming in with opioid addictions, and this is the first time they’ve received substance abuse treatment. It presents the daunting question: What happens to their addiction when they leave? Also upon discharge, detainees are given kits and training from Cermak pharmacists on how to administer Narcan, a nasal spray, to anyone who’s overdosed from heroin or any other opioid. Cermak health officials say that many detainees have used the spray to save the lives of family members or friends who have overdosed. It’s a tool they give detainees in hopes that they not only stay out of jail, but continue to treat their underlying illnesses.